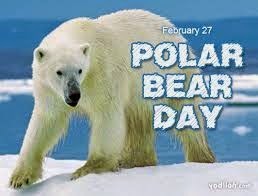 Today is Polar Bear Day . . . and here in Michigan we can certainly identify with the snowy, cold area where Polar Bears live! On this day to celebrate these snowy, white bears, I thought it would be fun to consider some Polar Bear Facts I found on-line and enjoy a Polar Bear Shake . . . so, grab your grandchildren and get ready to celebrate Polar Bear Day! First for the Polar Bear Facts . . .
Polar bears roam the ice-covered waters from the northern U.S. and Canada all the way to Russia. Thick, warm fur covers every inch of their body except the pads of their feet and their nose. Polar bears have black skin, which absorbs sunlight and helps keep the bears warm. Polar bear fur is not white; it is clear, with no pigment, but refracted light makes it appear white. Depending upon the lighting, polar bears can look yellow, brown, or even grey. Polar bears spend most of their lives on the pack ice, hunting ringed and bearded seals. Polar bears can hear prey beneath three feet of ice, and often wait for their prey at the edge of seals breathing holes. Polar bears can smell a dead animal three miles away. Polar bear cubs stay with their mothers until they are about two and a half years old. 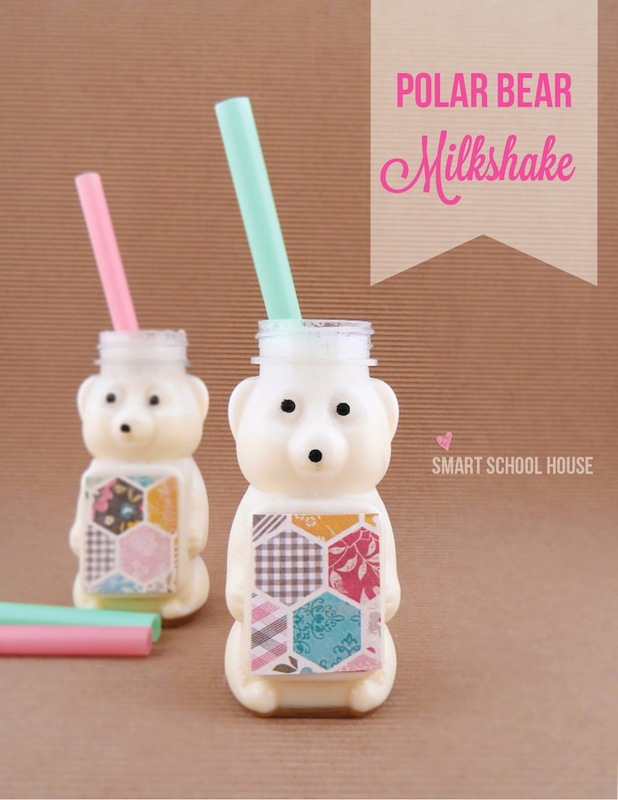 On this day to celebrate Polar bears, you could have fun with your grandchildren by making Polar bear shakes! All you need is vanilla ice cream and milk - place ice cream in your blender and add milk to cover half the ice cream. Mix, pour into cups - or honey bear bottles - and enjoy! Looks like a fun way to celebrate Polar bears . . . or any day!